Bergerac, one of the largest and most characterful towns in the Dordogne region of France is built along the northern bank of the Dordogne river. 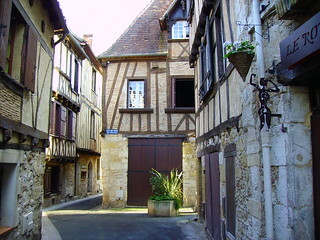 The Old Town (vieille ville) has a selection of beautiful stone houses (some with sculptures set into the walls) and others made of local timber. The main square’s fountain, previously the local laundry, is crammed with cafes and makes for a great pit stop. But don’t let the nearby statue of Cyrano de Bergerac, by the pretty St Jacques Church, fool you. In reality, the 17th-century satirical philosopher and dramatist simply visited here a few times, he wasn’t a local resident. 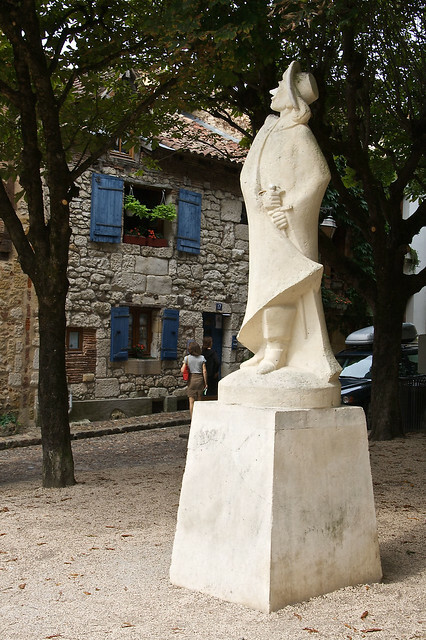 Nevertheless, there’s another statue of Cyrano de Bergerac at the other major town square, Place de la Mirpe. 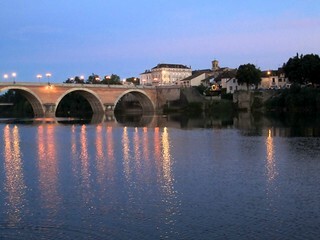 In addition, Bergerac’s mid-July food festival is known as La Table de Cyrano. 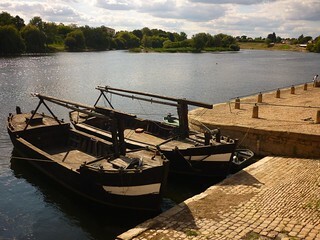 Adding to this town’s myths, the pretty wooden river boats on the river are currently going nowhere; they are a recreation of the past, when hundreds such boats and similarly constructed barges would have sailed between Bergerac, Bordeaux and other towns and cities on the River Dordogne. Visit the the Musée Régional de la Batellerie on Rue des Conferences, where you can find out about region’s trade in wine and wine barrel making. The Musée du Tabac on the nearby rue de l’Ancien-Pont, is housed in a 17th-century building and contains an interesting collection of tobacco trade related exhibits. 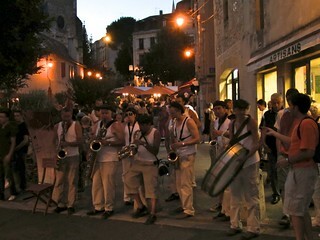 But one of the true modern day gems of Bergerac has got to be the town’s famous Jazz Pourpre Festival, now in its 9th annual season. It’s held in May, one of the most beautiful times of year to visit. 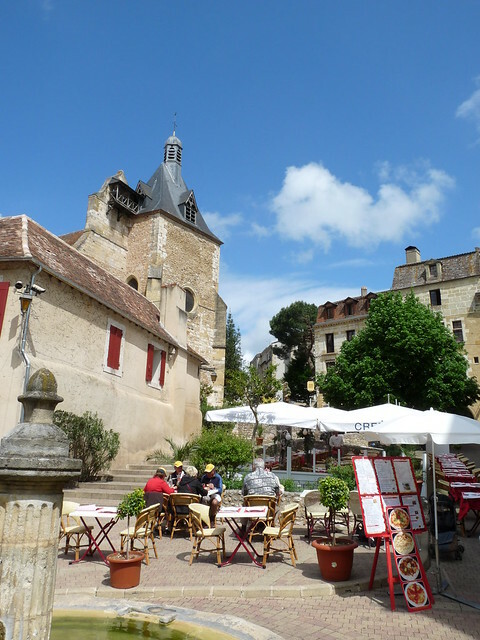 Bergerac is then transformed from a pretty, historic town to a jazz lover’s dream location, with street parades and concerts held in several interesting venues such as the Lembarz and the Auditorium.